Wooden rocker on Hewes Point Road, Islesboro, ME after a rainstorm. 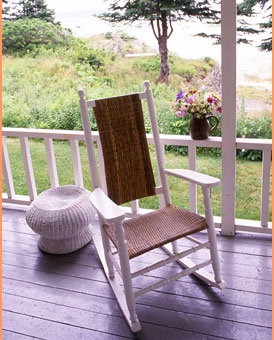 The porch is littered with rocking chairs and every one was filled until a late afternoon shower drove everyone inside for a cup of tea and English biscuits. The sky is brightening now and no doubt they’ll all wander back to finish reading their magazines and paperback books.